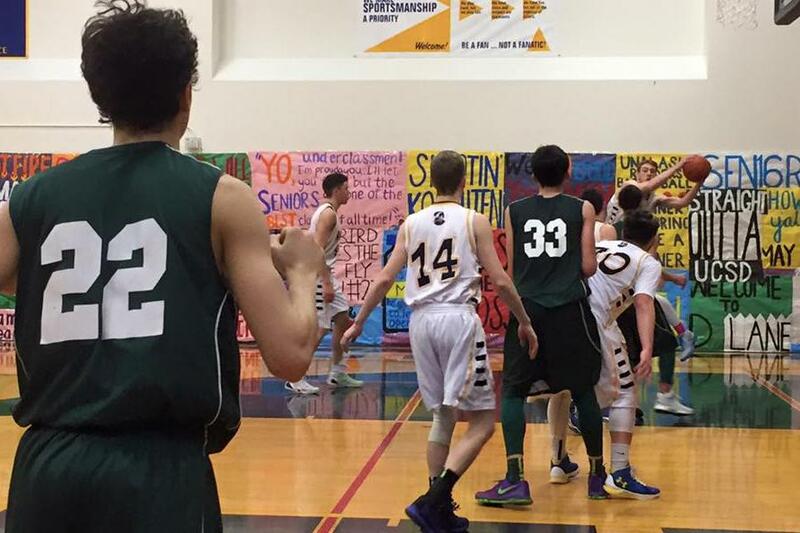 Unalaska’s final home basketball games of the season are this weekend. The Raiders will host 2A foe Tok on Friday and Saturday nights. Coach Riley Spetz says the boys’ team (5-3) last played Tok in the 2018 state tournament, winning 44-41. But the Wolverines are returning several key players. "They got a real big kid who plays in the middle. He’s going to be a tough matchup for us and then they also have an all state guard that’s coming back. He was a freshman last year and I think there are a couple other kids that were on that state team," Spetz said. "They've got a good group of kids that know how to play a good brand of ball." While Unalaska graduated 11 seniors from last year’s squad and changed its coaching staff, Spetz says the team is starting to find its identity. "There's a lot of time left in the season. I know it’s flying by, but the kids have a lot of work to do if they want to be where they want to be at the end of the year," Spetz said. "We’ve just got to get better every day, like I’ve been saying in probably every interview. Take one day at a time and use it as a chance to get better." Meanwhile, the Raider girls (3-7) are riding a two-game win streak into the match-up with Tok, who they beat 55-26 in the regular season last year. "If we shoot 40 percent as a team, we’re doing pretty good. And if we cut the turnovers down under 20 every game. We’ve been right around that the whole season," said Coach Casey Clausius. "The games we’re shooting good and our turnovers are low, we’re playing a lot better." Clausius says Tok will be the first 2A team the Raider girls face this season. "Since we've had a really tough road at the beginning and now that it’s possibly getting in our favor with Tok and the Dillingham tournament, we’re just hoping the girls stick together, realize we still have to go to practice, we still have to work hard, we still have to sweat together, and the biggest part is having fun doing it," Clausius said. KUCB will air live coverage of all the home basketball games, starting Thursday with senior night. The Raider boys play first at 7 p.m., before the girls tip off at 8:30 p.m. Then, on Saturday, the girls hit the court first at 6 p.m., with the boys wrapping up the weekend in a 7:30 p.m. start. The Unalaska Raiders started their road trip strong with two victories in Tok. The boys’ basketball team beat the Wolverines 61-54 on Wednesday, extending their undefeated streak to 10-0 this season. Meanwhile, the girls’ squad posted a decisive win. They beat Tok 55-26. The Raiders take the court again on Thursday in Delta Junction. The girls play first at 5:30 p.m., followed by the boys at 7 p.m.